At least that is what Heather called it when I finished it. (read: that hat looks like it was designed by an out of date nerd). 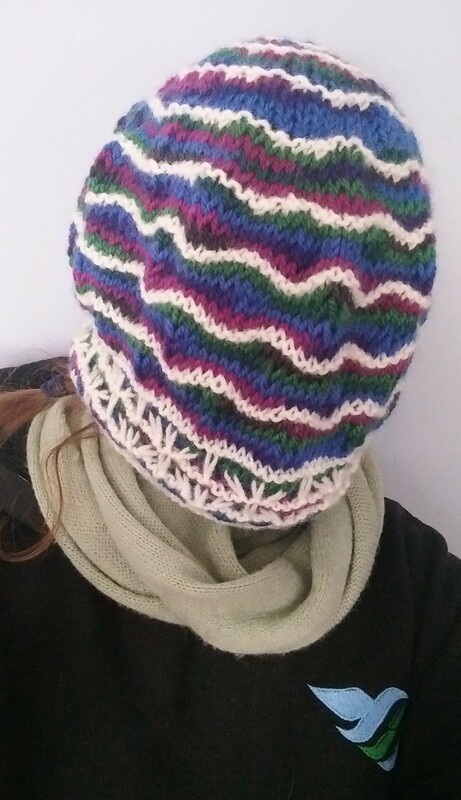 I said that tams were versatile and that you could pull them down over your ears and forhead if it got really cold out. She said yeah, you can even use them like a balaclava if it is really cold and took a selfie. The top turned out passable, but nothing to write home about. The stitches were Triple torch, pg. 78 and Elongated-Stitch Waves, page 81. I cast on 120 stitches. 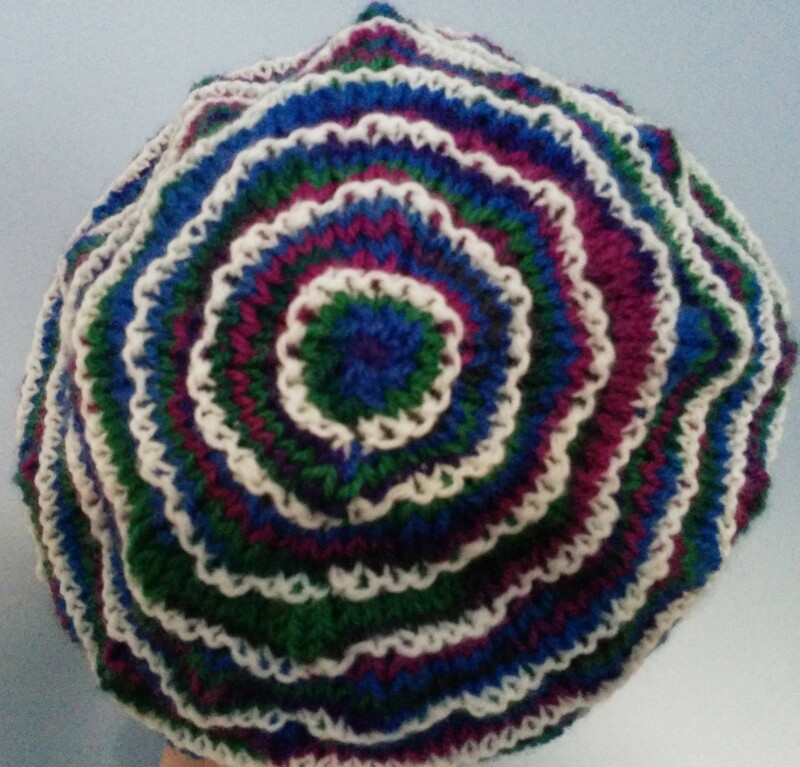 Barbara had mentioned that the Elongated-Stitch Waves would spread laterally, and I had been meaning to do a tam-like hat for a while, so I decided to take this opportunity. I decreased on the second white row, 24 stitches evenly around per time, 3 times (down to 48), then 16 stitches per time twice and got rid of them by k2tog arond and ended. 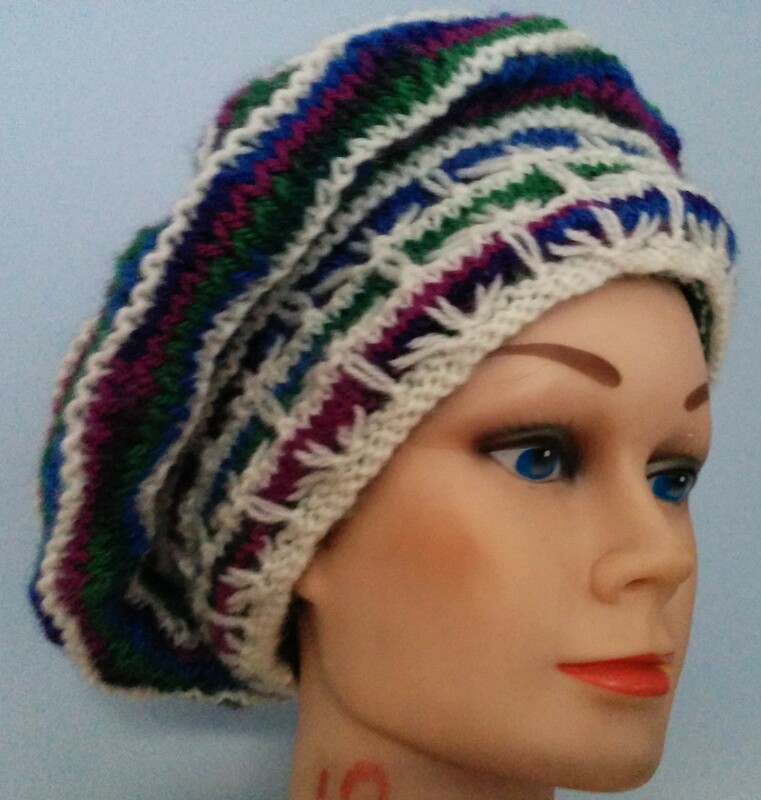 This entry was posted in Barbara Walker and tagged A Treasury of Knitting Patterns, Barbara Walker, knitted hat, Patons Classic Wool on February 19, 2016 by gillianknitter. It’s more 60s than 80s. Radical, dude.